Automechanika Shanghai has experienced its most international and busiest fair yet, rounding off another successful year. The 14th edition took place from 28 November to 1 December and covered every aspect of the automotive supply chain. The record breaking show presented many opportunities for business exchange, networking and education and was accompanied by an extensive fringe programme, each of which was met with praise by participants. Throughout the four-day show, the excitement around the fairground was magnetic as visitors filtered through, with many commenting on the fair’s growth, direction and its ability to capture the ever evolving market trends. This year’s edition featured many new zones and exciting areas, which presented a variety of the latest products and services, across the entire automotive supply chain. In light of last year’s feedback from participants, organisers continued expanding many of the themed zones and areas. One of the most stimulating areas at the fair was the Tomorrow’s Service & Mobility sector, located in the North Hall. It reflected many of the latest innovation and market trends, with exhibitors offering their most recent breakthroughs in car connectivity, autonomous driving, new energy vehicles, digitalisation and more. On top of this, another debuting area was the Chain Stores Zone which highlighted the changing landscape of the automotive service industry. The transformation has seen new developments in automotive distribution channels, particularly within the repair and maintenance sector. End-users are becoming increasingly empowered through access to information and technology, creating more long-term opportunities for chain stores. The area attracted many domestic and international chain stores, auto repair store, e-commerce business and automotive distributors. Featured exhibitors included Aliexpress, Autozi, Carzone, Casstime, CQHY, EURO REPAR, Homotor, Jauto, Kzmall, LOPAL, Mancando, Tuhu and more. Participants praised the zone’s pull, as it attracted both upstream and downstream customers. Visitors also took note of the rise in chain stores throughout China and the efforts to build relationships with the aftersales service market in the region, which were reflected in the themes at the fair. Sitting alongside this area in Hall 7.2 was the returning REIFEN (Tyres) sector. Once again, the sector was an excellent platform for some of the industry’s top tyre, wheel and rim suppliers. Both exhibitors and visitors were able to embrace the interrelated themes within this hall, helping encourage more meaningful discussions and opportunities for collaboration between the different product segments across the hall. What’s more, 2018 saw overwhelming participation from key market players joining the show for the first time, including Aeolus, ALPS, Beta, Doublestar Tire, Hikvision, Hunter, INVT, Jinfei, Keihin, Kunlun Lubricating, KUS, Mevis, Pateo, Petlas, Pirelli, Petro Canada, PSA, SASH, Sensata, Synace, Tongyi, Zotost, and more. Additionally, many returning exhibitors took part once again, such as ACDelco, Aisin, Bilstein, Bosch, Brembo, Bright, China Changan, China North Industries, Continental Automotive, ContiTech, CRRC, Dali, Delphi, Denso, EAE, ENEOS, FAWER, Fix Auto, Hella, Honeywell, Launch, Liqui Moly, MA-FRA, MANN+HUMMEL, Michelin, MOTUL, NGK, NTN-SNR, SAIC Motor, SATA, Schaeffler, Blue-Point, SONAX, Tech, Valvoline, VIE, ZF, and Zynp Group. Each of their presence at Automechanika Shanghai indicates the show’s strong position as it acts as a stage for promotion and networking, as well as for business exchange and client engagement in regional and overseas markets. The show’s fully loaded fringe programme also received great feedback from both speakers and attendees this year, noting that these discussions have a significant impact on shaping the future of the industry. Amongst the 57 well-attended concurrent events was the Automotive Aftermarket Summit 2018, the AIAG Auto Parts Purchasing Leadership and Suppliers Summit, the Tomorrow’s Service & Mobility Summit 2018, the Connected Mobility Conference Shanghai and the Green Automotive Painting Summit 2018, and the China International Conference on Tyre Industry Cooperation & Developments. Automechanika Shanghai also saw an increase in overseas participation over the four-day show, with organisers delighted to see 43 exhibiting countries and regions across the showground. New exhibiting country Luxemburg joined the list of returning countries, along with the Czech Republic, Lebanon and Slovenia, which resulted in a 3% increase in overseas exhibitors this year. Again, the fair held 19 country and regional pavilions across the show floor, which included France, Germany, Hong Kong, India, Indonesia, Italy, Japan, Korea, Malaysia, Pakistan, Poland, Singapore, Spain, Taiwan, Thailand, Turkey, the UAE, the UK and the USA. The top 10 visiting countries and regions from this year’s edition comprised of Taiwan, Korea, Malaysia, Russia, India, Thailand, Japan, the USA, Australia and Germany. Not only are overseas buyers trading with local Chinese firms, but they are also using the show as a platform to do business with other foreign companies. We are displaying a lot of new products such as our automotive electronic power systems and wheel hub motors. The show has added the new Tomorrow’s Service & Mobility sector, which is in line with emerging trends and provides a platform for us to better demonstrate intelligent driving technologies. So far, we have not only received many business enquiries from visitors but also have used this opportunity to exchange ideas with professional buyers. The buyers here are often at a decision-making level from their respective companies. This year we have seen many more upstream and downstream customers attending the show, which has been extremely beneficial as it has led to more meaningful business exchanges. Our booth has attracted not only many of our targeted customers, but also a lot of potential buyers. As a result, we feel encouraged as being here helps us expand our business and promote the brand. Something new I have noticed this year is that organisers have dedicated an area for auto parts supply chain service providers, which has improved both the professionalism and pertinence of the show. This is the first time we have exhibited at Automechanika Shanghai and feel very excited to have met with so many visitors. We chose this show for two main reasons. Firstly, we would like to enter the Chinese automotive market as it has great potential for our business. Secondly, we wish to meet with more overseas clients from the likes of Taiwan, Hong Kong and Vietnam. We feel that we can achieve our objective here because of the show’s impressive scale, and the reputable and professional potential clients it attracts. 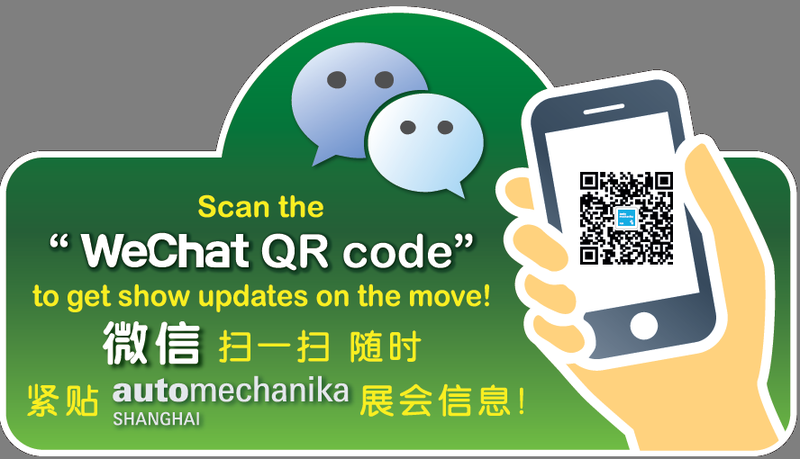 This year, our aim at Automechanika Shanghai is to promote our new brand image, increase publicity within the China market and of course, meet new customers to grow our business. I strongly feel that all of these goals have been met. Our booth has always been very busy and full of potential customers, many of which are distributors and workshops from Mainland China. Overall the show has been a highly effective exhibiting experience that is very professionally managed and attracts high levels of international participation. The global network and resources of the Automechanika brand emphasise that this is an international platform for domestic brands to promote their "Made-in-China" image. This year at Automechanika Shanghai, our newly developed brushless motor is one of the highlights at our booth. We also continue to focus on the development of new energy vehicles and work closely with our partners to drive business in this field. In the past few days, we have already had many meaningful discussions with our existing partners such as Delphi, Bosch and Continental and have met with new potential contacts as well. Here, we can reach out to both upstream and downstream buyers from the supply chain. In addition, we also see an increase in overseas customers exploring our latest technology. As well as successfully building upon our brand’s image, we have also been able to identify many new business leads, which we can see have a lot of good potential. I am happy to see many overseas distributors visit our booth. For example, we have spoken with visitors from Australia, India and many Southeast Asian countries. They are interested in our tyre solutions, including wheel aligner, tyre changer and wheel balance solutions. It is clear to see that, Automechanika Shanghai is playing an important role in driving the development of the Asian and Chinese market. It is a world class trading platform, which has been very professionally organised and allows us to increase our brand awareness by expanding our distribution network across the region. This is the second year that our company has participated in Automechanika Shanghai, and it is even better than last year. We have already met with many of our high quality targeted customers as this show has the ability to bring together well-known companies for a one-stop shopping platform. The main products that our company offers are lubricants. At present, the domestic automobile aftermarket is very large, and many big foreign brands are competing to settle in, so I am very optimistic about the prospects that the developing lubricant market will bring. We have come here to source new suppliers for our tyres and automotive AI applications. We are pleased that the show has the REIFEN tyre sector and dedicated fringe programme events, which we are finding extremely beneficial for our procurement needs. As an industry, we are experiencing steady growth across the global automobile production line. Looking more specifically at China, the transportation logistics market is also on the rise, and so the developmental prospects for the tyre industry are continuing to improve, which has also been aided by the Belt and Road Initiative. This show is an excellent trading platform for all of these areas, and it keeps up with market trends and integrates industry resources very efficiently. The biggest attraction of Automechanika Shanghai for us is that it covers all the major products across the entire value chain in the automotive aftermarket. This trade fair always introduces cutting-edge products and new hotspots in the market; since we cover the overall structure and output of the 4S shops, our demand for maintenance equipment is extensive. Across China, the trend “maintenance instead of repair” has become more and more popular, which I can feel in the show. From this, we have found some auto supplies and electronic products to extend our services here, making our trip very effective. I am visiting Automechanika Shanghai with a buyers group and represent an automotive cluster from the northern part of Germany, which I am heavily involved with companies like Volkswagen. Under this network, we have about 400 companies across the whole automotive value chain. Exploring the products at Automechanika Shanghai is very important for me as I am in the supply industry for OEMs. I am also looking for new developments like electric mobility, autonomous driving, and connectivity across the automotive industry, which are all reflected here under one roof. Our organisation holds some 900 members in Malaysia, including car manufacturers, auto parts importers and exporters and distributors. I have visited Automechanika Shanghai many times over the past few years, and so have witnessed its developments in terms of scale and exhibitors numbers. We are visiting here to source new products and to understand the latest industry trends. It is great to see an overall improvement of quality, as well as the expansion of new products from the auto parts sector in China. I would also like to highlight my positive impression of the Tomorrow’s Service & Mobility sector; its position is particularly important as it reflects the future developments of the automotive industry. Our products on display have already been localised, but we plan to increase our product line to 30 over the next year. For this reason, it is very important for the PSA group to use this as a platform and announce our brand to all attendees. We are also involved with many projects behind the scenes, which I was able to reveal during the fringe events that I was involved with. It was an excellent opportunity to speak about our products and strategies as well as our distribution channels. It was a distinguished event, which was well organised. The quality of the audience was very good, and it was great to listen to the other speaker's insights. I feel that we have met all our objectives by participating in the fair as it is a very good platform for a brand like ours to communicate with people from the entire automotive industry. I’m from a chassis manufacturer in China, and my primary field of business focuses on the chassis for new energy vehicles. Today, many of the speakers at the Connected Mobility Conference are well-known players in the industry, and their forward-looking views on the connected digital mobility ecosystem have inspired me a lot. The conference was well organised, and all the topics were attractive. I found it a very useful platform to reach out to big names across the sector and talk with them face to face. It has helped me catch a glimpse into the future of the digital mobility sector, which can help provide a reliable reference for our company’s strategy, as the conference highlighted the latest statistics and analytics. The next edition of Automechanika Shanghai will take place from 3 – 6 December 2019. For more information, please contact Messe Frankfurt (HK) Ltd on + 852 2802 7728 or auto@hongkong.messefrankfurt.com. For more information, please visit our website at: www.messefrankfurt.com. China National Machinery Industry International Co Ltd. (Sinomachint) is a wholly-owned subsidiary of China National Machinery Industry Corporation (SINOMACH), a large state-owned group. Sinomachint specializes in areas such as international exhibitions, trade and project contracting. International exhibition is a core business for Sinomachint, which are recognized because of many years of exhibition organizing experience and a professional organization team. Sinomachint held exhibitions that combine internationality and locality in over 30 large and medium-sized Chinese cities. The total exhibition area of exhibitions that Sinomachint independently organizes or jointly do with partners each year exceeds 3 million square meters. For more information, please visit the website at: www.sinomachint.com.